On February 13, for the first time since 1985 (then still during the Cold War), the "Symphony Orchestra of the Capital City of Prague" (a.k.a. Prague Symphony Orchestra, FOK) graced Washington on a mission of cultural diplomacy with an all-Dvořák program, courtesy of WPAS. Serge Baudo led his crack ensemble's performance in the well-filled Kennedy Center Concert Hall and opened with an exciting and boisterous Carnival Overture, op. 92, that—some shakiness in the violin section apart—knew to delight. What followed was the rarely performed Piano Concerto in G minor, op. 33, a work that is the little stepsister to its more famous, exposed, and virtuosic cello and violin concerto siblings. 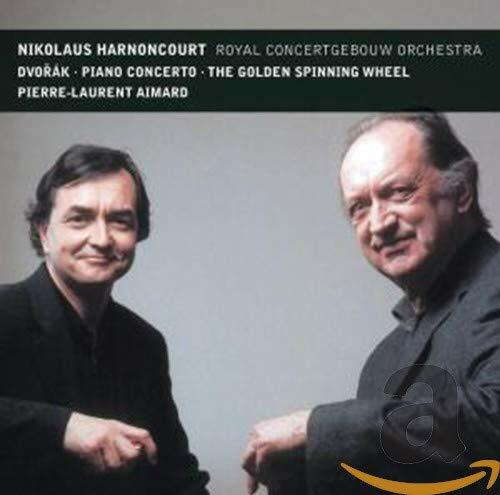 Indeed, not until Pierre-Laurent Aimard's stupendous recording with Nikolaus Harnoncourt was there a wholly convincing recorded version in the catalogue. Footnote: this includes both the original version, as recorded by Svatislav Richter with Carlos Kleiber (EMI) or the Wilem Kurz revision, well played by Rudolf Firkusny (DG/Westminster). A tall order for soloist Martin Kasik, but one to which the 28-year-old soloist rose amiably. He clearly cherished the work and presented it with a facility that delivered much and promised even more. The chance to hear the work live mostly made up for the FOK not having the same precision of attack and sheen in the strings or the perfectly executed brass of Harnoncourt's Royal Concertgebouw in the aforementioned recording. The concerto is, warts and all, still an important work by a major composer and offers many delights that the umpteenth performance of the cello concerto would not easily muster. The rousing finale of the opening Allegro Agitato made it irresistible for many a listener to applaud. The soft, pianissimo horn entry in the Andante sostenuto had a completely mangled note, but therefrom on it was mostly (and literally) a smooth ride through this meandering, oddly lyrical, gentle but also often turgid second movement. The horns off to brass bootcamp, and all might have been well. Another rousing finale for the third movement (Allegro con fuoco), ending amid bravos and (the usual) standing ovations, made you forget earlier weakness and sent people into (the three minute, 40 seconds long) intermission in high spirits. Two thumbs up for the programming, and one each for the work and the performance. Slavonic Dances (op. 46, nos. 1, 2, 8 and op. 72, nos. 10 and 15) are more standard fare, but not less delightful for it. Performed with plenty of oomph and panache, the works (originally for piano, four hands) show why they propelled Dvořák from obscurity to international fame. Much like the preceding piano concerto, there isn't much to them that is Slavonic or Czech (they are merely based on Slavonic dance forms), but the music is imaginative, light, delightful, and accordingly easy on the ears. Though modeled on Brahms's Hungarian Dances, they more often to the taste of Johann Strauss II, substituting the Vltava for the Danube. Another Slavonic Dance coupled with a few cheeky comments by Serge Baudo were a cute cap on a lighthearted afternoon of lovely music.